The non-hip hippies are interested in all aspects of sustainable living. The choices we make when it comes to housing are some of the more powerful ones. Concrete, steel, huge glass facades with reflective glass are materials that not only are not sustainable, but additionally will haunt the environment even when the buildings are abandoned. 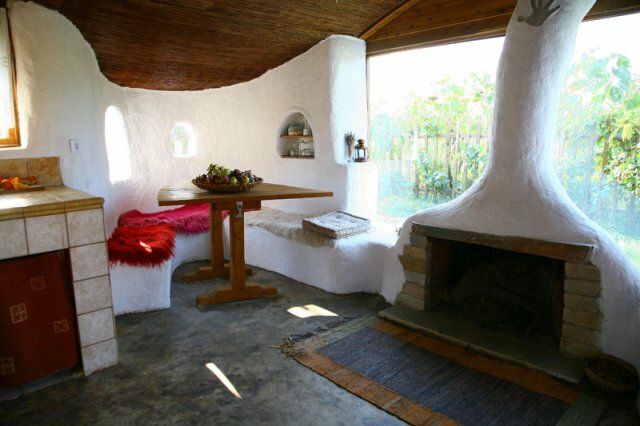 Cob houses on the other hand are made from natural materials that will quietly “melt” back into earth, once they are no longer needed. 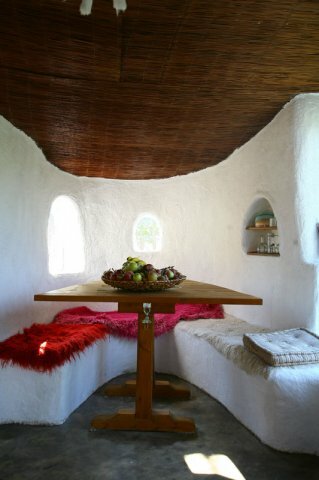 You can read a more general article about cob houses here and go on with this interview with the experts from Cob.gr. Kostas thank you for taking the time to answer our questions! 1. 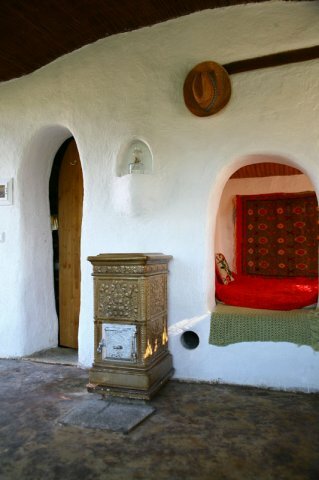 Building with cob is an ancient construction method that has revived in USA and Europe the last few years. Cob.gr is the first website to offer information about cob to the Greeks. Your team also organizes workshops, where anyone can learn how to build with cob. Who are the people behind Cob.gr and what led you to start looking into cob? It all started 15 years ago when, together with my partner Stelios Gagaras, we bought a piece of land intending to cultivate using natural farming methods. Searching the web for clay soils, we discovered that soil can be used for building as well. It was rediscovered in UK and the Stated but that never stopped happening in the “underdeveloped” countries that is in most of 2/3rds of the world. So we decided to try building a small house using cob, one of the oldest building techniques after reading some books and traveling in mud building countries in Africa. Our experiment was successful, resulting in a cute little house with a cost under 2.000 Euros. From then on we have built a lot of houses, trying most of the natural building techniques known today and our team numbers 10 permanent partners and a big network of architects, engineers and volunteers. 2. On your website you have a detailed list of FAQs about cob houses. 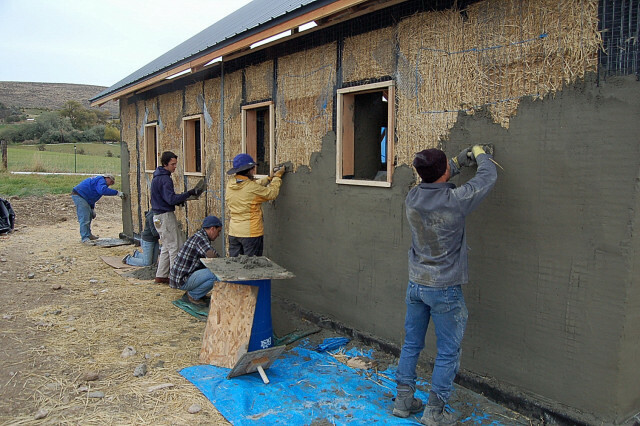 There you explain how cob is suitable for many different climates, how easy it is to start building with it, how low the cost is, how fast the competition of a cob house can happen and so on. Are there any negative aspects in building with cob? 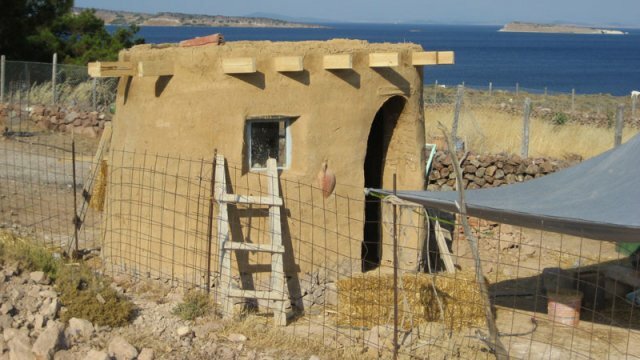 What are the challenges that someone will face if they decide to build a cob house? I have read that building regulations do not yet allow cob walls to bear any loads. Do you think that the building regulations will be updated any time soon? I can think of many advantages and reasons to build with cob. If there is one negative aspect, that is insulation. Cob has huge thermal mass but no insulation value. Of course you can use extra insulation in the outside or inside of the house. Yes, in Greece you can’t build load bearing walls with soil. This is due to strict earthquake building regulations. The state could/should perform tests to these materials in order to try their seismic behavior. This is something that doesn’t seem to happen in the near future, mostly because there is no obvious profit result from this kind of constructions. Of course someone can always build a mud house using an inner wooden or metal frame. 3. One of the FAQs is about how fast a cob can be built. 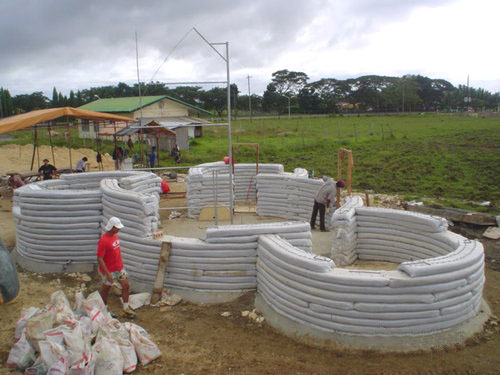 You mention that in a warm, dry climate, 30cm per day of wall can be built. But what I liked more was the last phrase, that if you hurry when building a cob, you lose half the fun. Building with cob allows for great morphological freedom, so there is plenty of fun with arcs and round walls and organic furniture, such as sculptural tables and bath tubs. I can imagine that taking some time to decide on all those intriguing shapes can lead to a very interesting result. 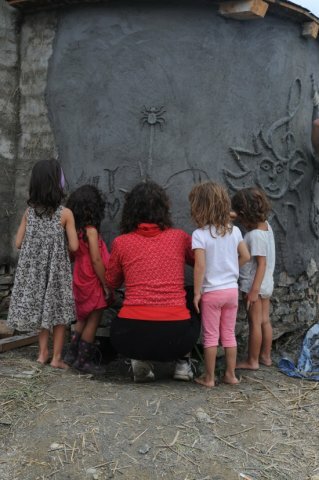 But what I enjoy more about the idea of building a cob house is the fact that it can bring a community together. If there is no such hurry with time, I guess that more people will have the chance to help out with the construction and learn about cob. Do you think that building a house can really become a family activity, for example? Do you have examples of people who took their time and built their houses just with the help of friends and family members? We already have an active network of 1.500 volunteers. Most of them are willing to help in order to learn how to build their home so that they will use voluntarily help when this time will come. In the old days that was very common between communities. We are trying to re establish this procedure. Yes, there are quite lot examples of people who took their time and built their houses just with the help of friends and family members. 4.Cob houses will stay cool during the summer and will require very little heating during winter. Natural ventilation can also be easily achieved with a careful design of openings. 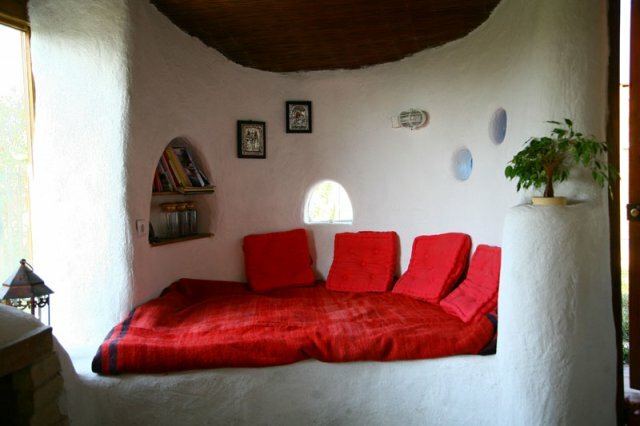 What other ways of micro-climate regulation can be used in order to have an optimal comfort level within a cob house? Is a green roof possible, for example? In the past, people building their own houses used a lot of simple techniques resulting a very good thermal behavior. They oriented their houses properly, using evergreen vegetation and small openings in the north while in the south they put most of the house openings and deciduous plants. Scientific knowledge nowadays helps us improve the thermal behavior of our houses by using passive solar systems like trompe walls, wind chimneys etc, resulting energy needs reduced to 20% compared to those of a conventional house. Green roof is also a very good practice especially in areas with hot summers. 5.Cob can be used to build ovens as well, as it is fire-resistant. This means that cooking can be done without the need of electricity in a cob house. I was wondering if a food storage system could also be made out of cob. Something like the traditional underground root cellars, for example. This way there would be no need for a fridge as well. With your experience, do you think that the insulating properties of clay along the steady underground temperature would offer a cool enough environment to preserve food in Greece during the hot summer months? ratures of +2C. From May to October the average temperature will be +12C. st people are not ready for it. planning, since houses in cities are facing the streets and not the sun. 8. In the “Links” tab of your website you have a link about natural agriculture. Do you see cob housing as a part of the puzzle of sustainable living? How much space do you think that would be required for a family of four to live in a cob house and grow their own food using natural farming? Sustainable living is a puzzle of many thinks. The way we use energy, food or water is equally important with the way we build our homes. A family of four could be quite autonomous with a land of 10 acres provided that they will consume mostly vegetarian goods. 9. Again in the “Links”, you have many links about vegan diets. I was thrilled to find out about it, being vegan myself and convinced that a plant-based diet is a key to our efforts to preserve valuable ecosystems. During your workshops, do you also mention the connection of natural agriculture and plant-based diets with low-impact building methods? Do people understand why these three things are part of one idea? As I mentioned before, the way we feed our selves affects directly our fellow men and the ecosystem directly. We try to introduce plant-based diet in all our events in order to spread this idea. People seem to understand but changes are not always so easy. 10. You live in Greece. Being a Greek myself, I know very well that at least 3 years ago that I lived in Greece, alternative living practices, such as the ones that you promote through Cob.gr, were considered extreme and were not widely accepted. Do you think that the Greek society has made a shift and realized the need to live in a more Earth-friendly way? 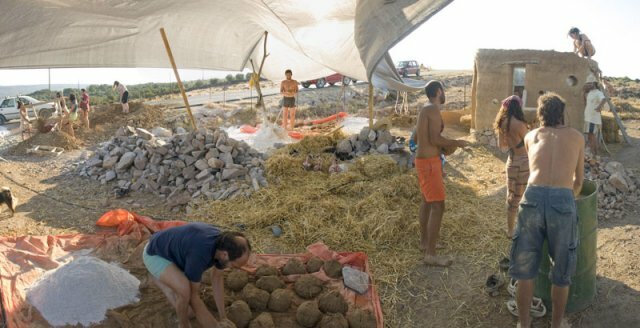 Will cob houses and natural agriculture ever become “mainstream”? For sure I know that our web site has almost so many visits per day as very popular sites in English. That surely means that a lot of people read what we have to say. Economic crisis also helps a lot forcing people to switch to cheaper building techniques. One thing I know for sure thaw, is that cob houses and natural agriculture will never become “mainstream”. A family of 4 needs 10 ACRES(!) to be autonomous??? 40 thousand sq. meters??? I think you mixed up the conversion there. A family of 4 can actually be autonomous with about 1 acre!